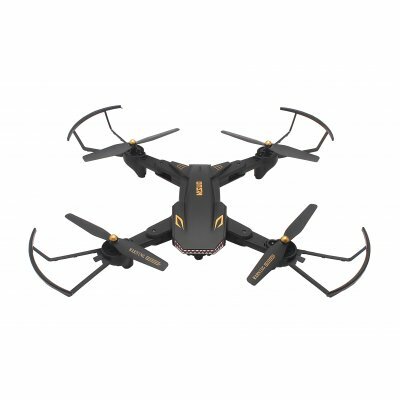 Successfully Added TIANQU VISUO XS809S Drone - Foldable Design, 6-Axis Gyro, 20 Min Flight Time, App Support, FPV, HD Video, 50m Range to your Shopping Cart. The TIANQU VISUO XS809S is a high-end yet affordable RC drone from China that treats you to an ultimately smooth flying experience. With its 6-axis gyro, this drone can be easily controlled and used in any type of weather condition. It offers a smooth and stable flight experience which makes it a great drone for both professionals and beginners alike. With its 2.4GHz WiFi remote control, you’ll be able to easily navigate it through the skies without losing track of your drone. This beauty comes packed with a powerful yet lightweight 1800mAh battery that delivers a stunning 20 minutes of continuous flight time. With a 50 meter range and flight speeds of up to 8m/s, this RC drone lets you conquer the skies like never before. With its foldable design, this RC drone is easy to carry along anywhere you go. The drone itself has been crafted out of durable ABS materials. When used together with the dedicated APP on your iOS or Android phone, you’ll be able to enjoy great FPV of all your upcoming flight adventures. This Video drone comes packed with a 2MP camera that lets you shoot crisp HD images at any given moment. With its 3D trick support and numerous other features, this quad-copter is sure to impress any type of drone pilot out there. 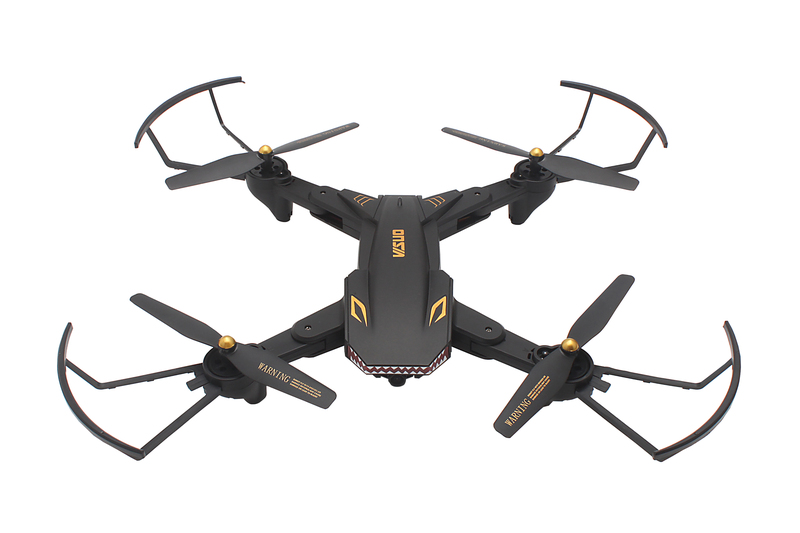 If you’re looking for an affordable drone that treats you to unlimited outdoor fun and excitement, the TIANQU VISUO XS809S drone is perfect for you. This RC drone comes with a 12 months warranty, brought to you by the leader in electronic devices as well as wholesale quad-copters..